Is Forcing a Defendant to Read about WWII Creative or Cruel? As my colleague Jason Cheung discussed in a 2012 blog, you wouldn’t think the legal system was a creative place. The only real creativity we’ve seen from the legal system comes from fictional dramas or reality shows. However, more and more judges have been handing out creative sentencing to punish criminals. Creative sentences are a type of alternative sentence, given instead of fines or jail time. Examples of creative sentencing include wearing a sign in front of a store a criminal stole from, letting everyone know he or she was punished for stealing. There’s a hidden question underneath all the creative ways to punish criminals. Does a creative sentence violate a defendant’s Eighth Amendment right against cruel and unusual punishment? Theft is the trespassory taking of property of another without consent and intent to permanently deprive. The theft and criminal tools charges each carried about six to 12 months in prison. The tampering count carried about 180 days in county jail. They plead guilty to the charges. At their Dec. 7 plea hearing last year, Judge Frank Forchione asked Peluso and Martin about the significance of that day. Martin didn’t know. Peluso said it was the anniversary of D-Day. Unfortunately for them, their answers got them a creative sentence. 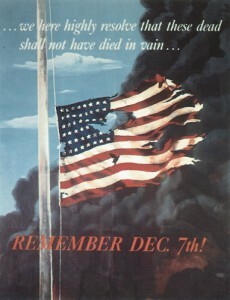 For those were never into history, their plea hearing fell on the same day as the Japanese attack on Pearl Harbor. State law prevented the judge from sentencing Peluso to prison. Instead, Peluso was sentenced to jail time and ordered to read two books. Both books, “Pearl Harbor: FDR Lead the Nation into War” and “D-Day,” were paid for by the judge. Peluso was ordered to write a five-page paper on the importance of veterans. He was also sentenced to three years of probation, restitution, and 200 hours of community service. Martin was hospitalized and couldn’t be sentenced the same day as Peluso. The Eighth Amendment is often associated with the death penalty. The Amendment prohibits cruel and unusual punishments, excessive fines, and bail. Opponents argue that creative sentencing can be cruel. Looking at Peluso’s case, he was sentenced to read two books because he didn’t know that his hearing fell on a veteran holiday. He was punished because of his ignorance, not because of his crime against veterans. Some would probably argue the creative sentence didn’t go far enough. The men could have been sentenced to something harsher than reading books. Proponents of creative sentencing argue it puts an important twist on the legal system. It stops people from reoffending or committing a harsher crime. Sometimes a stint behind bars is just that—doing time. Creative sentencing may cause them to think twice about reoffending. The Peluso case wouldn’t violate the Eighth Amendment. He’s forced to read about a day he should know about anyway. The problem with creative sentencing though, is it opens the door for the possibility of going too far. What is creative and what isn’t? Maybe it’s forcing a defendant to read a book about veterans today. Maybe tomorrow it’s being locked in a room without food and water to react what a prisoner of war went through after being captured. There should be more limits to the types of creative sentences a judge can impose. Was Brock Turner’s Sentence a Slap on the Wrist?